High and Dry! 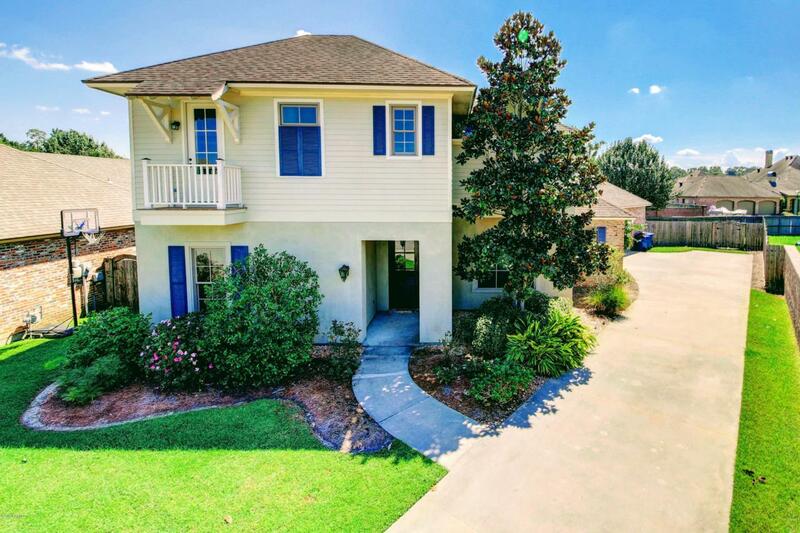 With fantastic coastal flare, this home is a fabulous retreat on a quiet cul-de-sac in Carrollton Park! Broadmoor, Edgar Martin & Comeaux High schools. Wonderful neighborhood for walking and riding bikes, close to everything but tucked away.Super clean, light, bright and airy, custom flush mount kitchen cabinets with pot drawers, smooth 2-panel 8 foot interior doors with designer Hardware, elegant lighting, antique long leaf pine floors, granite counters in kitchen and all baths, two beds up and two down with large Hollywood bath upstairs, two balconies, large closets, tons of storage, wood burning gas fireplace, huge soaking tub and separate tiled shower with seat in master bath, his and hers vanity, 10' ceilings, huge turned antique pine newel posts and iron baluster. Laundry room has a convenient mop sink. Ceiling fans in all bedrooms and covered back patio. Storage room inside garage, small storage building in privacy fenced back yard, Owner may consider lease purchase. Pets on a case by case basis at discretion of owner. Agent/Owner.